Are you looking for the best audiophile headphones on the market? Buying new headphones sounds simple enough. 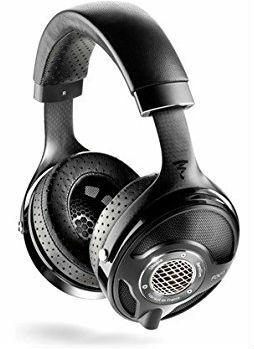 However, finding a pair that delivers the combination of amazing sound quality you’re looking for with a comfortable fit can prove a bit frustrating. We’ve outlined the best headphones across major categories, so you can rest assured that you can find the best headphones for your needs at a price point that you can afford. The Sennheiser HD 700 headphones deliver high quality performance and sound, which might be the most important aspect of listening. They have open back ear cups, so the sounds are more natural as opposed to confined or trapped. In addition to the open back, these are stereo headphones. The left and right ear speakers work on independent channels, which creates a surround sound effect that’s more realistic. Basically, the music sounds like a live concert in your ear. Besides the sound quality, the Sennheiser HD 700 model is very comfortable to wear. The ear pads are made from velour with a silicone headband. The headphones fit snug to your head without adding any pressure to your ears. Since the headband is silicone treated, it won’t vibrate or move around while you wear them. The modern design is stylish as well. You can feel confident wearing these anywhere, knowing that they look great on your head. One of the downsides to an open back headphone is the sound leakage. If you wear these in public, people around you can hear your music. You need to just be careful and aware of your surroundings to avoid disturbing others in a designated quiet area. That said, the plus sides of the Sennheiser HD 700 far outweigh the negatives. They deliver a flat frequency response and minimal distortion, which enhances your listening experience. To sum it up, these are a solid choice if you want to improve the way you listen to music. They are a great example of what you can expect from a luxury pair of audiophile headphones. Once you put these on your head, the sounds of music are lifelike, The balanced tones make every song feel like a live performance. For those of you willing to spend the extra bucks for ultra high quality headphones, you’ll want to find a high-end brand. Focal has an outstanding reputation and makes quality products. To put it in simple terms, these headphones are amazing. The name says it all. Utopia. By definition, a utopia is a state or place where everything is perfect. It’s the paradise island of headphones. Focal built the best sound quality over ear headphones with the Utopia High-Fidelity. That’s because the carbon fiber design can fit on anyone’s head, regardless of the shape or size. Not only do they fit on everyone’s head, but they are comfortable too. The memory foam cushions are nearly one inch thick. Plus they are lightweight and only weigh one pound. These were not made for the average listener. They are intended for low-noise environments and professional musicians or audio experts. The headphones come standard with a 13.1-foot low-impendence balanced cable. So you’ll be able to move freely throughout your studio without being restricted by the wire. Although the sound, quality, and durability of these headphones are outstanding, they are not made to plug into your smartphone. If you are just looking for headphones to wear on plane rides, trains, or road trips, these are probably not the best option for you. But if you want a frequency response from 5Hz to 40kHz with an open back build that mimics a wide-range loudspeaker, these are for you. Compared to other headphones, these have the most groundbreaking technology and transparent sound. Imagine a speaker inside your ears. If you want high quality headphones without the high-end price tag, there are plenty of options below $300. But with so many choices, which one of these options is the best? For such a bargain price, these headphones have outstanding sound quality. The housing for the Grado Prestige Series SR325e is made out of a power-coated aluminum material. Using aluminum adds mass to the design. The added mass results in the smoothest transitions between low frequency ranges to high frequencies. It also minimizes any distortions as the frequencies change. Outside of the sound quality, these headphones are super stylish. They are inspired by the authentic 1960’s look. The head strap is comfortable and made from high quality genuine leather. It also is Brylcreem resistant, so that it won’t mess up your hairdo either. Since the cups have an open design, people around you can hear what you are listening to. If you need quiet headphones that won’t disrupt others in your vicinity, these probably aren’t for you. Some customers also said the packaging creates a slight odor when you first open them. The positives far outweigh the slight downsides of these. They are ideal for daily use around the house, on the go, or in the studio. The Grado Prestige Series SR325e also comes standard with a 6.5mm golden adaptor. You can comfortably rest these headphones around your neck when you’re not using them. The cups swivel so they can lay flat and won’t interfere with your chin or face. To summarize, you can use these headphones for long periods of time and experience comfort and high quality sound for the duration of your listening. They are versatile in the sense that you can use them for average listening and audio production. Another top brand in the audio electronics industry is Audio-Technica. They have a wide range of headphones to choose from, including some under $200. Here is their best one. These are ideal headphones to use in loud environments. The design concept wraps around your ears, which is great for isolating sounds. So you can use these on an airplane, train, or crowded room without being disturbed by outside noises. Audio engineers and professional audio reviewers praise the sound quality from this Audio-Technica model. The critically acclaimed reviews highlight their high performance. 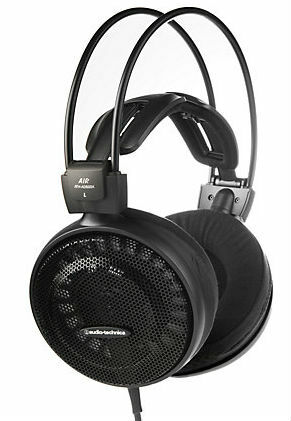 The ATH-M50x Professional series from Audio-Technica are very comfortable, stylish, functional, and practical as well. Since the ear cups can swivel 90 degrees, you can listen to just one side if you prefer. That’s a great option if you need to hear music and hear people speaking in the room or studio. It has a detachable cable, so you can wear the headphones around your neck in between listening and sessions without the wire getting in your way. Although these headphones are a great choice for the studio, they don’t have a built-in microphone. So if you need a microphone for recording or producing, you’ll need to buy it separately. Even without the mic, they are extremely comfortable and durable. The ear pads and headband are professional grade and won’t lose comfort after long consecutive hours. These sound great no matter what you use them with. You can plug them into your smartphone, mp3 player, laptop, or desktop computer and receive mirrored sound for each device. In addition to the sound quality and comfort, they are also athletically pleasing on the eyes. Are you trying to find great audiophile headphones on a fixed budget? It’s a difficult task. You want high quality sound and performance without having to spend big bucks. But, you don’t want something cheap that won’t last. There’s a fine line between price and quality, and Audio-Technica has just what you need without breaking the bank. That’s because they are lightweight with an open-air design. The structure of these headphones doesn’t add any pressure on the ears, which creates a naturally listening perception. They also have a honeycomb aluminum casing. The lightweight aluminum means the headphones weigh less than nine ounces! You will barely feel them on your head. The ear pads are raised and flexible. Their design makes them extremely durable in addition to comfortable. The sound is so natural and it’s perfect for projecting vocals. That’s because it has 53 mm drivers and CCAW voice coils. You’ll also have the benefit of a loud and impactful bass. The wing support system is self-adjusting, so it automatically adjusts and fits the natural shape of your head size. It has a direct-attached cable line from the left earpiece that is not detachable. So you can’t remove the wire in between sessions or for storage. However, it does come with a quarter inch adapter, so have the option of plugging it into multiple audio outputs. All in all, the design of this Audio-Technica model is perfect for comfortable listening. The lightweight build eliminates pressure on your ears, so that you can wear them for hours uninterrupted. The natural sounds emphasize the vocals in the music. It has a powerful bass but doesn’t distort the music. Tired of wires getting in the way while you walk, run, or workout? Is it a pain traveling with headphones because the wires interfere with your backpack or suitcase? Fortunately for you, we found the best audiophile wireless headphones. These will eliminate all your problems and bad experiences with wires. Bose is one of the most well-recognized brands in the audio industry. Their Wireless QuietComfort 35 audiophile headphones are top of the line! They are noise-cancelling headphones. What’s that mean? Outside noise gets muffled and eliminated when you put these on. The noise-cancelling feature gives you two benefits in one. The first, you can sit in silence if you want to relax or try to sleep on an airplane or noisy area. Bose QuietComfort 35 reduces outside noise, even when no music is playing. Second, the sound of music is clearer and natural, since it’s not polluted by other sounds in the room. These audiophile headphones Bluetooth technologies allows for use without any wiring necessary. If you prefer a wire, it does come with a removable option for your preferences. Want to answer your phone without taking off your headphones? No problem! It has a built-in microphone and noise-rejecting microphone. So you can hear calls clearly, and the person on the other line can hear you just as well in loud or windy conditions. If you want to use these for several days straight without charging them, unfortunately, they won’t last. If the battery dies than you can’t use the headphones until they are charged again. However, the battery life is 20 hours! The battery life doubles if you use it on the wired mode instead of Bluetooth. So although you need to charge these, they last plenty of time in between charges. You shouldn’t have to worry about the battery draining for normal use. Overall, these headphones are comfortable and versatile. The noise-cancelling option is practical, and the Bluetooth connection works great for pairing to your phone. Are the on-ear or over-ear headphones are too big, bulky, or just not your style? If so, no problem! There are great audiophile in-ear headphones as well. We’ve got you covered for which one is the best. One of the biggest complaints we get from in-ear headphones is their comfort level. But there are no complaints from the Sennheiser IE 800 model. How do they do it? It’s simple. They use an ergonomic design and oval shaped adaptor. The shape is different from other in-ear headphones, making these much more comfortable from daily and prolonged usage. For such small headphones, they deliver powerful sound. That’s because the 7mm transducer provides a wide range of frequency. It ranges from -3 dB to -10 dB. Even the cable is strong. It’s made from oxygen-free copper wiring, so it’s durable and made to last. These headphones deliver outstanding sound quality. It has a duel chamber absorber in the ceramic housing component. The design creates minimal distortion even when the output levels are high. If your intention is to use these for recording or audio production in a studio, they are not your best option. However, these are one of the top options for daily listening on the go. All in all, these are the top of the line in-ear headphones if you want great sound, comfort, and a wide frequency range. Their unique design makes them stand out from other in-ear competitors. Gamers need high quality headphones that they can wear for hours on end while they play. People that are serious about gaming are just as serious about their headphones. They need to have built-in microphones so they can communicate with teammates and trash-talk their opponents. We’ve narrowed down the best option for gamers. The Sennheiser GAME ZERO headset has everything gamers need. 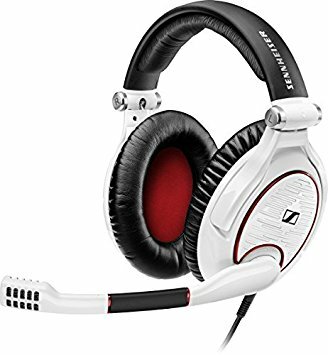 If you plan on playing an all day session on your computer, Xbox, or PlayStation, you need comfortable headphones that feel great on your head and ears. These have exactly what you’re looking for! Extreme comfort. The ear pads are made from a cushioned material and have two layers of memory foam. The cups are extra-extra large, so they don’t put any added pressure on your ears. Since they wrap around your ears, they also block out annoying surrounding noise in the room. You can concentrate on the game without getting distracted. Are you gaming at a friend’s house? No problem. These fold up into a compact design, which makes them great for storage and portability. They also come standard with two cables, so they are compatible with multiple platforms and devices. One of the best features of this gaming headset is the microphone. It’s noise canceling, so you can effectively communicate to your fellow gamers without static or interruption. The microphone is well placed and can move up and down based on your personal position preferences. However, the mic isn’t practical for just listening to music. It doesn’t make sense to have a microphone on your face while you’re just relaxing or traveling. So stick to gaming with this headset. Overall, this is a top-notch audiophile headset for gamers. The noise-cancelling microphone comes in handy when you play team games online. Plus the comfort level is unmatched by competitors. So you’re interested in a nice pair of high quality audiophile headphones. But, you don’t know where to start. We’ll help you through that process. The first step is determining what you plan to use your headphones for the most. Are you an audio engineer? Singer? Producer? Do you want to travel with these headphones? Do you plan to just wear them around the house or use them for gaming? Once you narrow down your main use for your new purchase, you can determine additional features and benefits such as type, design, sound quality, and durability. We’ll outline those features for you here, so you know what to look for. There are three main types of headphones. There are also variations of these types, such as wireless, wired, or gaming headsets. In-ear headphones and wireless headphones are the best audiophile headphones for running. If your ear buds are inside your ear, they have less of a chance of falling out while you run. Wireless headphones are great too because the wire won’t interfere while you swing your arms. One of the best options for wireless headphones is the Bose QuietComfort 35. 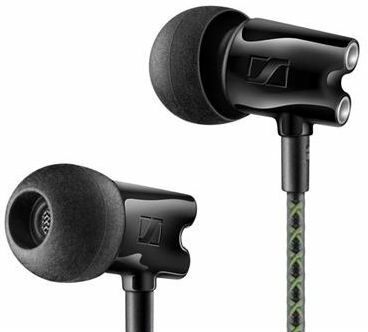 For wired, in-ear headphones, try the Sennheiser IE 800 Audiophile Ear Canal. Over-ear headphones are great because they don’t add pressure to your ears. Try to find over ear models that are comfortable with extra cushioning and memory foam. So what’s the difference between open back and closed back headphones? According to the technical experts at Forbes Magazine, it’s related to external ambient noise. Headphones with an open back have some audio leakage from the earpieces. What this means is that people around you can hear what you’re listening to. Closed back headphones reduce this leakage. The people in your vicinity won’t hear sounds coming from your headphones while you listen to music. Do open or closed headphones affect the quality of sound? Yes. Open-back headphones tend to sound more clear and spacious. But closed back headphones still offer outstanding sound. If you have open back headphones, you need to remain aware of your surroundings. Know that what you’re listening to is not necessarily private in a confined area. 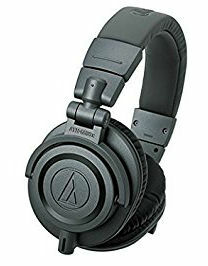 An example of great open back headphones is the Audio-Technica AUD ATHAD500X model. You can pick these up at a budget price to experiment with the open back concept. 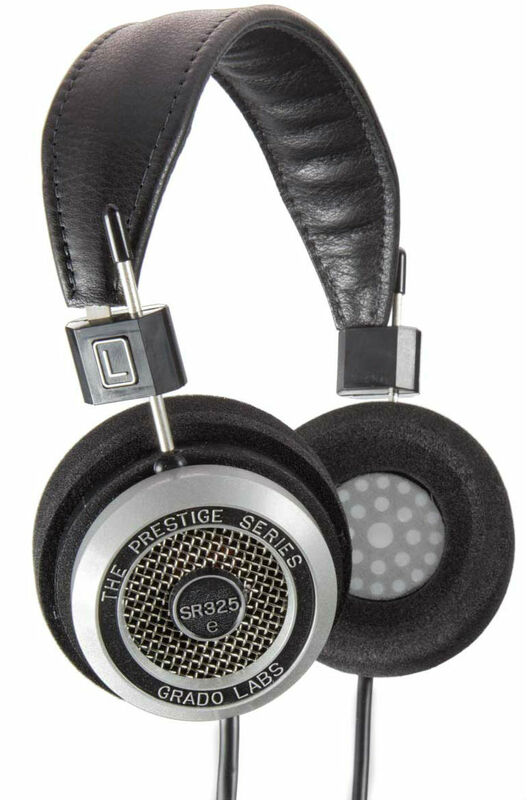 The Grado Prestige Series SR325e model is another great pair of open backed headphones. These are a little bit higher quality than the budget Audio-Technica pair. 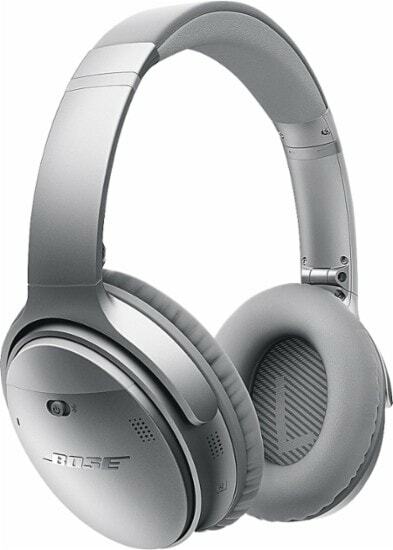 If you think closed back headphones are more your style, then check out the Bose QuietComfort 35. In addition to being closed back, they are also noise canceling. As we mentioned earlier, once you decide your primary use for your headphones, you can determine if open back or closed back is the best option for you. Whether you plan to spend less than $100 or over $1000, sound quality should be a top priority with your headphone selection. So how do you know which headphones have the best sound quality? Well as we just mentioned, open back and closed back models deliver different sound. So if you want sounds that have a larger sound, go for the open back. When you’re looking at headphones, you’ll notice some of the descriptions include frequency ranges as they relate to sound quality. Sure, that sounds good… but what exactly does that mean? To keep it simple, the low and high-frequency ranges are related to the decibel levels. The higher the frequency range of your headphones, the less distortion you’ll experience. The Focal Utopia Reference High-Fidelity model have a wide frequency range and excellent sound quality. Another factor relating to sound quality is the source of your audio. Are you using your headphones for studio recording? Or do you want them compatible with your smartphone? For everyday use with your computer, mp3 player, phone, or tablet, the Audio-Technica ATH-M50x Professional series is your best bet. Breaking a new pair of headphones is the worst, especially if you made an investment in them by spending lots of money. Even if you’ve owned your headphones for years, breaking them because of durability problems is devastating. So before you finalize your purchase decision, make sure that your headphones are built to last. Do you need to spend thousands of dollars to get the most durable headphones on the market? In fact, even a budget priced pair of headphones like the Audio-Technica AUD ATHAD500X model offers durability. That’s because of their lightweight design. Since these headphones are super light, they won’t break as easily if you drop them or bang them up against something. If you are buying a pair of wired headphones, you will want to make sure the wire is just as durable. Headphones like the Sennheiser IE 800 Ear Canal model have a durable and oxygen-free copper wiring, which makes it extremely durable. In addition to the durability of this copper wiring, it also provides higher quality audio transmission. If you plan to travel with your headphones frequently, durability should be at the top of your priority list. The Sennheiser GAME ZERO Gaming Headset folds for easy transportation and portability. It’s durable enough to survive the trip if you’re gaming somewhere outside of your home. The Focal Utopia Reference High-Fidelity headphones come with a carrying case. So if you plan to pack your headphones in a bag, try to find ones like this that have travel protection. Are Audiophile Headphones Worth it? If you love music and can’t bear the thought of listening to it on with low-quality distortions and interruptions, audiophile headphones are worth it. Since the price range of audiophile headphones is so wide, you can easily find a pair that’s worth it within your budget. If you can’t afford to spend more than $100 on headphones, no problem! There are plenty of low-priced choices like the Audio-Technica AUD ATHAD500X model. Maybe music is more than just your passion; it’s your career. As an audio engineer or producer, you don’t have a price limit when it comes to quality headphones. Go for the best headphones that your money can buy. We recommend the Focal Utopia Reference High-Fidelity. For those of you that don’t want the lowest model or the top model, there are still plenty of great choices in your price range to justify your purchase. It’s definitely worth it! Forbes Magazine says that high quality headphones will last you for years! So it may be an investment, but you won’t need to worry about buying another pair for a long time. If you are serious about audio quality, then you can tell the difference between cheap headphones and high quality sound. Don’t settle for something that you won’t be happy with. Buy a pair of audiophile headphones. Music lovers enjoy the sound of a powerful bass. But nothing is worse than a distorted baseline that cracks or muffles the rest of the audio components and vocals. Finding a pair of high quality audiophile headphones for bass benefits is crucial. Try to look for a pair of headphones with an open back design. The open back allows for a clear sound, so the bass can breathe and sound natural. You’ll still hear a profound and powerful bass with closed back headphones, but at times it may be too overpowering. It’s all about personal preference. If you want the bass to the most profound part of your listening experience, go for the closed back. 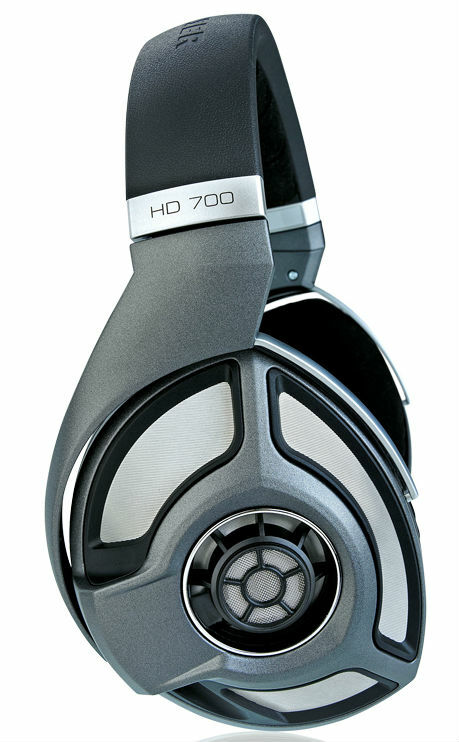 Try the Sennheiser HD 700 model for a superior base. The open back design delivers high sound that stays well balanced, even when they bass line is heavy. You should also look at the frequency response that your headphones can produce. Make sure that your headphones can support the low bass frequency that you’re looking for. Headphones with a wide range of frequency can deliver great sound in addition to powerful bass. The Audio-Technica ATH-50x Professional headphones are another superior option for high quality bass output in audiophile headphones. Are Audiophile Headphones Good for Gaming? Audiophile headphones are great for gaming. You just need to find the right ones. What makes them so good for gaming? Gamers spend hour after hour sitting in front of the screen with headphones on. If they have something cheap, they can experience pain and pressure on their ears after a while. Audiophile headphones are built for comfort. Nobody needs comfort more than somebody who will potentially wear them for eight hours straight, or maybe even longer! Sound quality and clarity are very important for gaming. Audiophile headphones deliver both of these features. When you’re playing a game, you need to tell hear the difference between in-game sounds and other people talking. If you can’t hear your in-game surroundings because of distortion or confusion in your ear, your level of play will suffer. Audiophile headphones are perfect for games that involve teams. You can effectively communicate with your teammates, and hear their voices without the sounds blending. The best audiophile headphones for gaming will come with a built-in microphone. A great example of this feature comes with the Sennheiser GAME ZERO Gaming Headset. To wrap it up, there are plenty of options available for audiophile headphones. It all depends on what you’re looking for and how much money you’re willing to spend. Any of the choices on this list would be a great purchase, but the Sennheiser HD 700 headphones are the top pick. Compared to the Audio-Technica ATH-M50x Professional and the Bose Quiet Comfort 35, the Sennheiser HD 700 delivers better sound with its open back design. If you compare it to another open back model, like the Focal Utopia headphones, the Sennheiser model is much more practical for regular use on a daily basis. These over-ear headphones are durable, comfortable, and overall a great purchase option. They fit the description for everything you need in high quality audiophile headphones.